« Foot care, sparerib pork chops and broccoli–seared a little! A soup for cold January evenings. 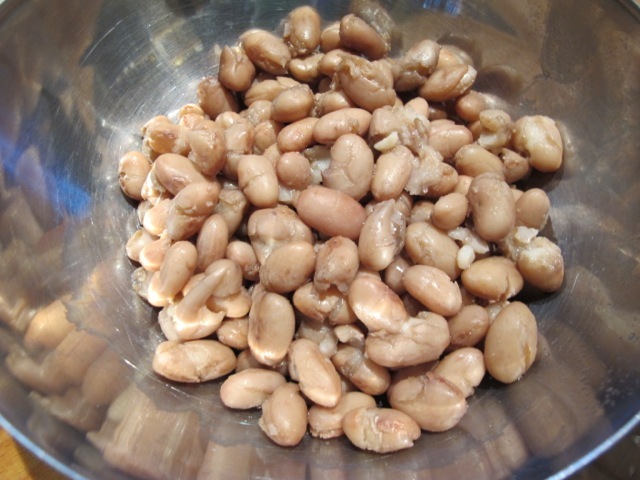 Borlotti beans are the speckly ones–mottled white and red uncooked. Cooking changes them to brown, which is a little disappointing. They have a nutty flavor that distinguishes them from cannellini beans–and lends an air of gravity to this winter vegetable soup that white beans can’t quite achieve. 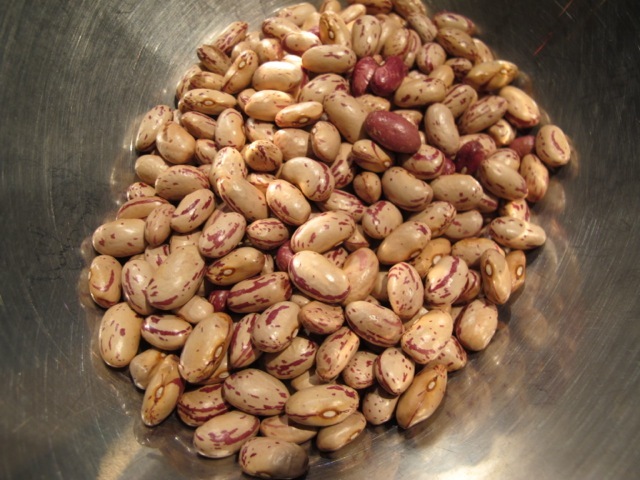 You can substitute white for borlotti, of course. 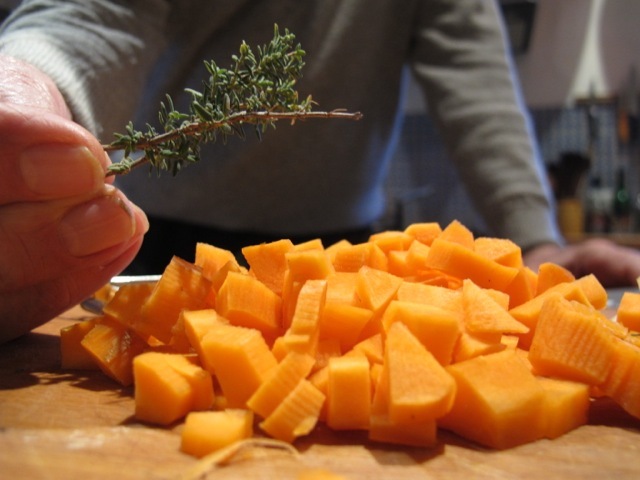 1) Heat the oil in a pan and gently soften the carrot, onion, celery, garlic and fresh thyme (if you have it). 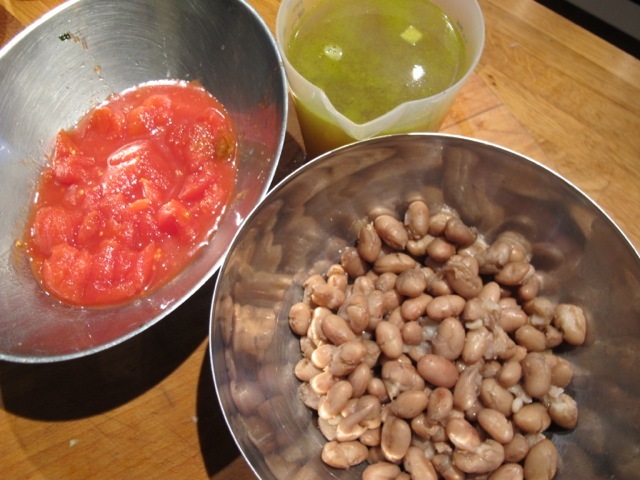 2) Mix in the broken-up tomatoes, the beans and the stock and season well–salt (to taste) and plenty of fresh ground pepper. Bring these up to the simmer and cook on with the pan partially covered for 15 minutes. 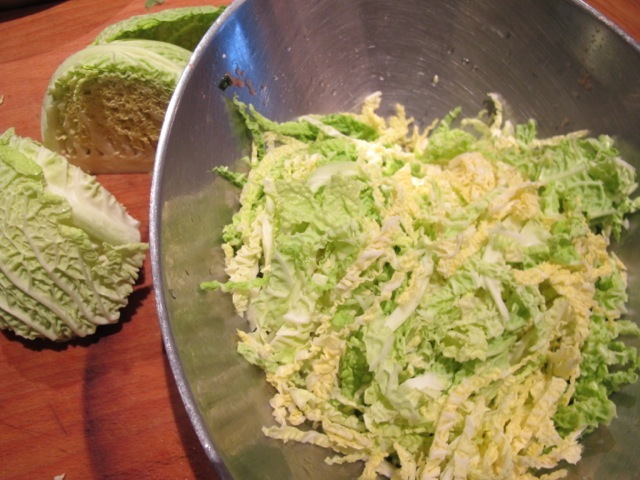 3) Stir in the cabbage and cook until tender. 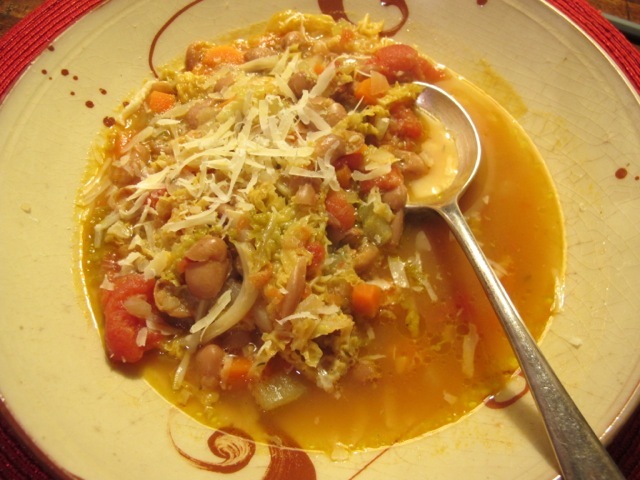 Serve hot with grated parmesan and a swirl of olive oil. This looks fabulous! Thank you; can’t wait to make it! And I was wondering what to make for dinner tomorrow night! Mmmm! Sounds like the perfect comfort food! Thanks!! That looks wonderful. ALL your dishes are out of this world. I’ve never been disappointed! 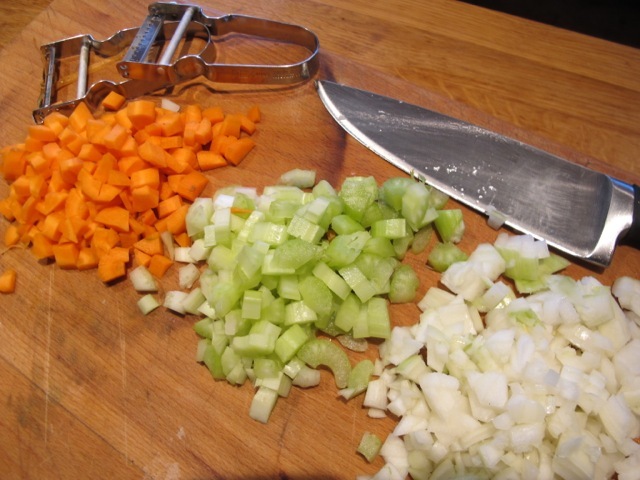 Just now eating your chicken tagine recipe – I cut back on the cayenne, added a lot more broth, and made a soup out of it. 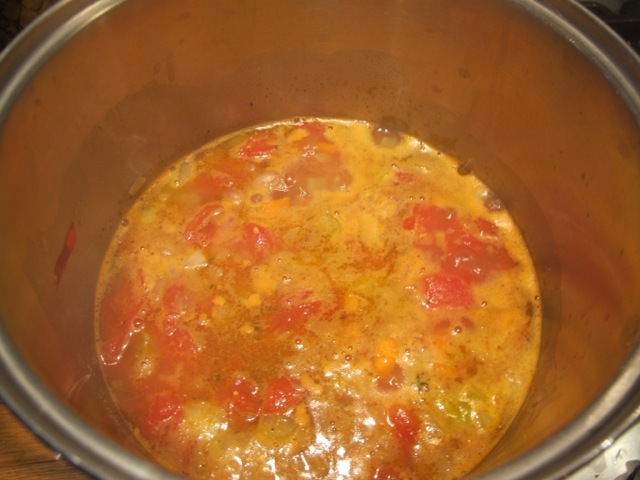 It is cold out but all the warmer inside because of this outstanding recipe. I made rice with broccoli, cumin, olive oil and lemon juice to go along with it. Thank you for enriching my table….side bonus: I’ve lost a lot of weight without even trying thanks to these lovely, light meals. Always look forward to your posts too !! Thanks Jean–happy to hear you enjoy them and they work!